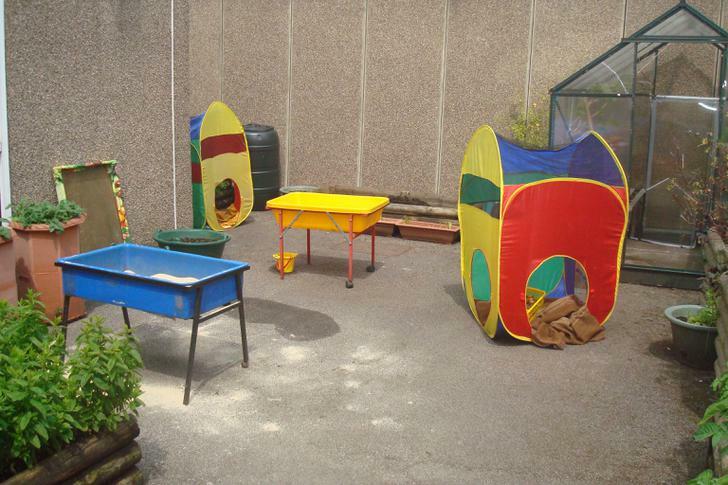 As well as our 'pen' area and shelter, we also have access to other outdoor spaces in school. 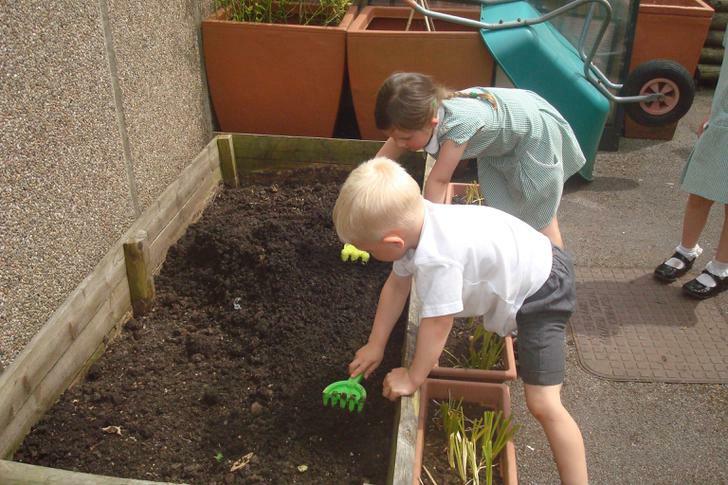 Yesterday, we had a great time in the year 1 garden area! 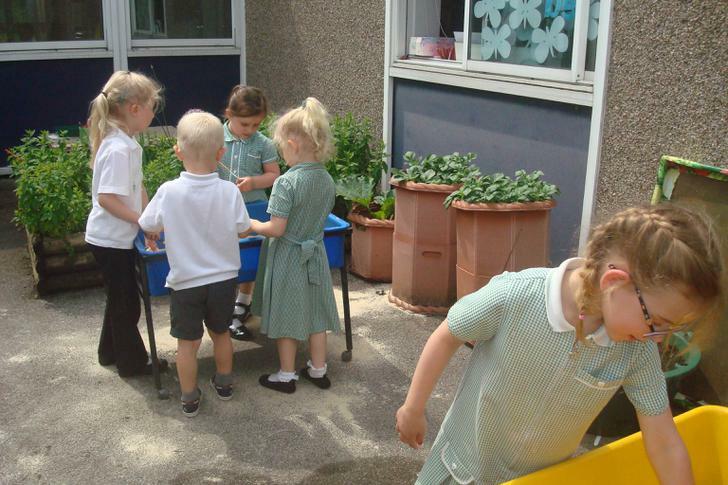 We drew bean plants, looked at floating and sinking in the water tray, looked for hidden fossils in the sand tray and looked at information books in the pop up houses.. it was fantastic fun! 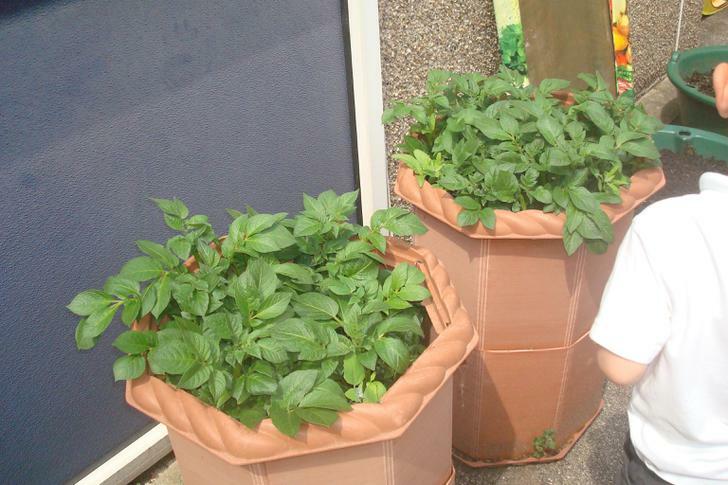 We've also got some plants growing out there, including sunflowers and potatoes. Take a look at our slideshow below to get a sneak peek! 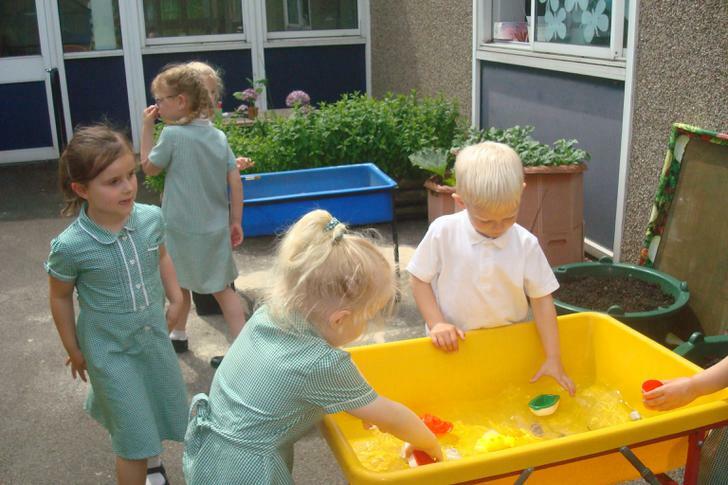 Summer is here in Reception class outdoor area! We've had some lovely new things in our Reception outdoor area lately, with a little help from the PTFA.. a huge thank you to them for a donation towards buying some much needed resources! Spring is beginning to appear in our Outdoor Area..! 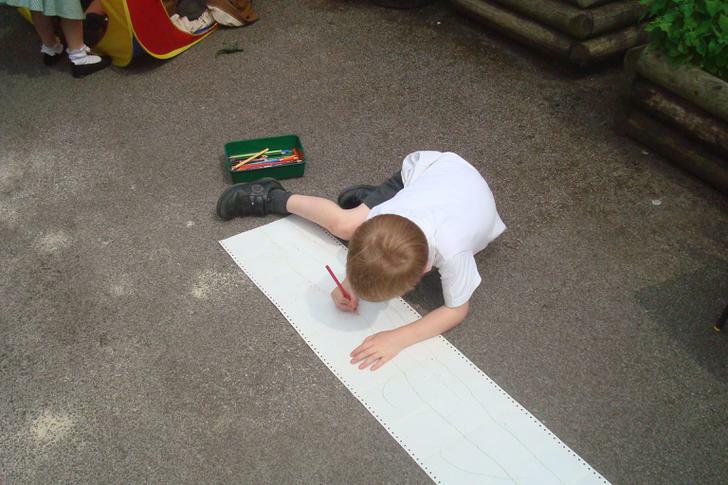 Mrs Betterton and Miss Fox are currently working on some new ideas for our outdoor area. 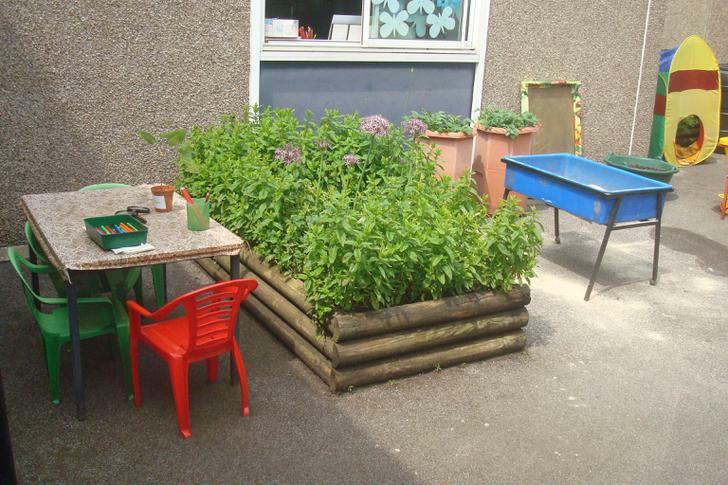 As you will have noticed, we have already gained a new Mud Kitchen, which the children love! We are having some new colourful numbers put up on our fence and will soon have a splash of colour thanks to Mrs Bettertons creative skills! Watch this space..! 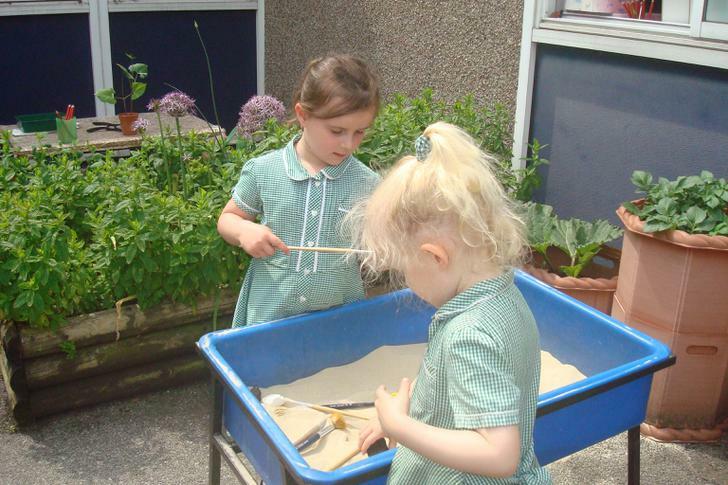 The children making mud recipes! Hoops are a firm favourite. The boys have had fun making a car!